Gupta was born on April 23, 1980, in Brno. She is 5 feet 8 inches (1.73 m) tall and has knowledge of English, Czech, Hindi, Spanish, and Japanese. Yana started modeling in the mid-1990s and did rouse considerable curiosity due to her unique last name, and her European looks. She has been to almost every corner of the world including Milan, Paris, Vienna, Munich, Hamburg, India, Prague, Tokyo, etc., just to name a few. She has modeled for high profile clients such Calvin Klein, Victoria's Secret, Toyota, Honda, Sony, and cosmetic products such as Nivea, Rexona, Shuemura, Isabgol and Shisheido.After graduating in Park Architecture and Gardening, she left for Japan, where she modeled for a considerable period of time. Her restless spirit then took her to India. She acquired her last name, when she fell in love and married a Punjabi, Satyakam Gupta, and re-located to Pune, Maharashtra, India. After her marriage, she continued her modeling stints in Mumbai with Limca, MTV, Lakme, and made her entry into Bollywood with an item in 'Dum'. Since then she has appeared in two Telugu, one Tamil, one Kannada movie, and another Bollywood movie 'Ek Ajnabee' opposite Arjun Rampal.Amongst her interests and hobbies are playing the piano, the flute, dancing, aerobics, health, fitness, and computers, Internet, etc. She is the TV Anchor of a musical countdown show on Zoom TV, and was named as the Lakme new face of the year, replacing model-actress, Lisa Ray. She has signed up with Indiagames and will be featured in their future ventures, which will include games, puzzles, etc. Although she is now divorced, she does plan to remain in India, where she will be launching her very own album in English language which will be dubbed in Czech and Spanish. After the completion of this project, Gupta may consider entering Bollywood movies again. 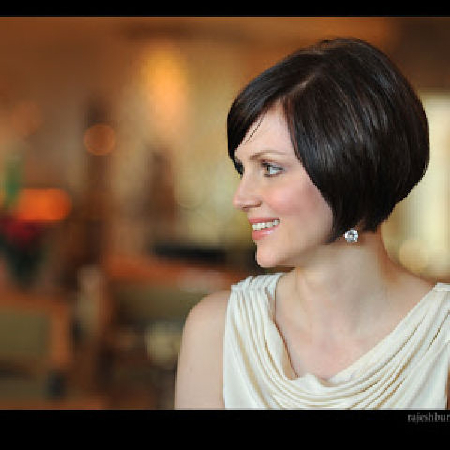 Why Book Yana Gupta Through ArtiseBooking?